As the weather warms up, humans are not the only ones coming out of inactivity. Spring is that time of the year when pests that have been dormant during the winter are waking up and finding their way into our homes. They will sneak into the roof space, underground, and wall cavities until they reach every part of your property that has food or water. Once they invade your home, the warm climate provides them with ideal conditions for reproduction – leading to horrible infestations. Pests can cause a lot of distress. But the inconveniences and possible property damage they cause can all be prevented if you prepare in advance. 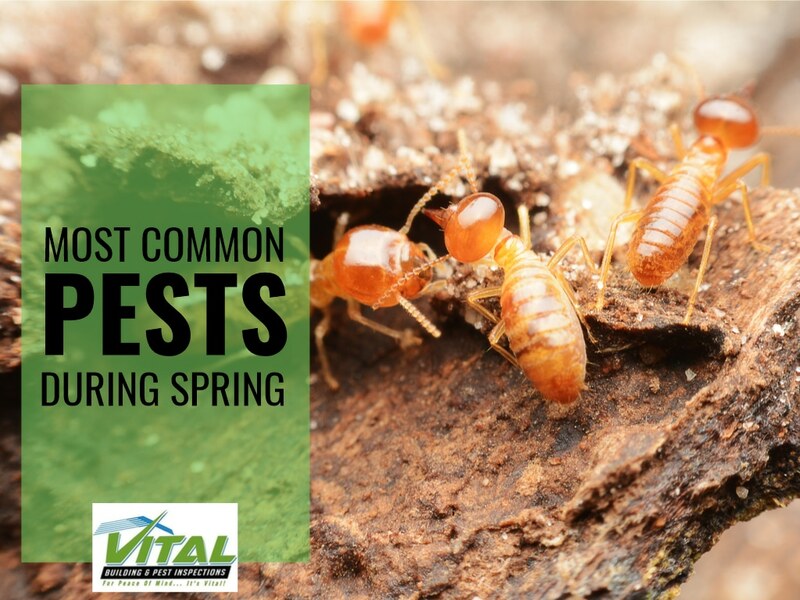 We have listed below the most common pests during spring and how to keep these unwanted guests out of your home. Spend a day in Australia and you are most likely to encounter an army of ants. We have more than 1,300 documented species and subspecies of these insects and their population explodes in the hot weather. Ants are common outdoors. They love to crawl around the picnic blanket and disturb our afternoon barbecues. Not content with all the food lying around outside, they will invite themselves into your house to find more food. Clean your barbecue grill and remove food crumbs from the area. After eating, wash the dishes immediately. Make sure all food containers are tightly covered. During picnics, cover your food to keep pests away. Flies are dirty and annoying. They feed on anything – even trash, vomit, and faeces. When they jump from one food source to another, they become a dangerous health hazard. Flies are known to cause parasitic worm infections, food poisoning, and dysentery. The warm weather is perfect for flies to multiply quickly. Fly infestations can get out of control in just a short time and wreak havoc outdoors and indoors. Clean up right away so no leftover food will attract flies. Store your food in tightly covered containers. Clean up after your pets immediately. Mosquitoes are associated with some of the deadliest diseases known – malaria, dengue fever, Zika virus – making them the most dangerous pests in this list. Mosquito season starts in the spring and peaks in the summer. These months are the most ideal for mosquitoes to come out of hibernation, lay eggs, and grow their population. Trim vegetation around your home. Overgrown bushes provide mosquitoes with food and shelter. Remove any stagnant water. Mosquitoes lay their eggs on standing water so be sure to drain all liquid containers around your home. Install screens on doors, windows, vents, chimneys, and other openings. If you do not have screens, keep your doors and windows shut during the night when mosquitoes are most active. Bees tend to be a lot more active during spring as the weather allows them to pollinate flowers, collect nectar, and produce honey. While bees play an important role in our ecosystem, they can also sting and cause life-threatening allergy reactions. Cover exposed food or store them in the pantry or refrigerator. Get rid of clutter in your home. Trim your lawn and clear the shrubs. Discard rotten fruit that may have fallen from trees. Make sure trash bins have tight-fitting covers. The warm weather of spring brings back the disgusting cockroach. These pests carry disease from the sewer to the drains and into your kitchen – crawling over food and utensils. Apply roach killer spray around your home before the sight of cockroaches horrifies your guests and ruins your summer parties. Rodents are a problem all-year-round but they are especially active when temperatures warm up during spring. If left unchecked, a rodent infestation can cause a lot of damage to your property. These pests chew on everything – food, clothes, shoes, furniture, wood, leather and even wires. Seal all possible entry points. Store your food in tightly covered metal or glass containers. Remove food crumbs and clean up right away. Of the three species, the Coptotermes is considered Public Enemy Number 1 in Australia. These pesky pests thrive from the harbour front to the Western Sydney suburbs. Take action now. Contact a pest inspection expert today! One of the worst things to hear as a property owner is the confirmation of a pest infestation. Getting rid of pests can be expensive – even more so if the damage to your home is already extensive. As a preventive measure, it is vital to have an annual building inspection done on your home. Vital Building and Pest Inspections provides you with a report that goes beyond visible problems. Our experts are able to detect and eliminate a wide range of pests in every nook and cranny. After a thorough assessment of your property, we will inform you of potential health risks and necessary repairs. 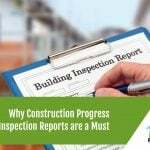 Our complete inspection report can help you prepare your building for selling or renting. If you suspect that pests have invaded your property, call Vital Building and Pest Inspections today and ask for a quote.